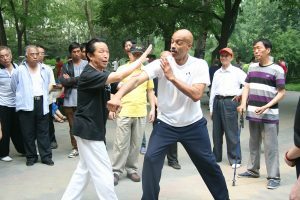 The recent loss of our school brother Reginald “Reggie” Haley was a great blow to those of us who trained with him for more than two decades. 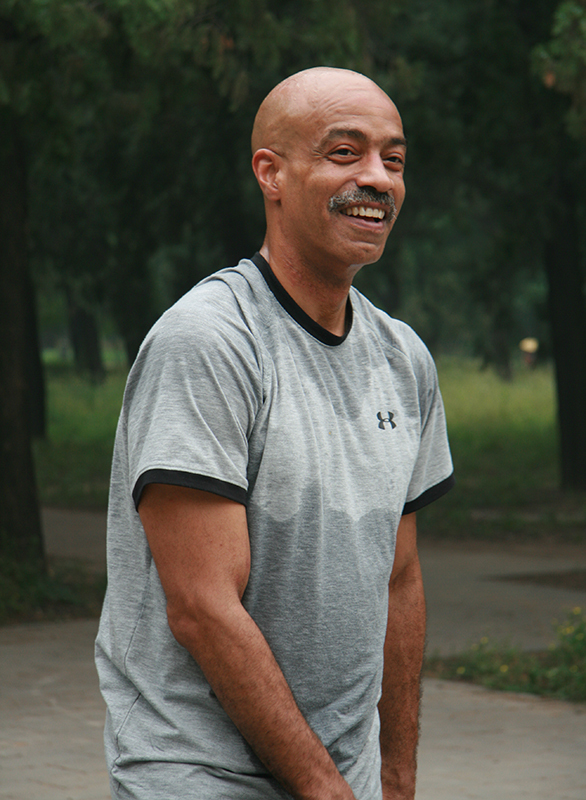 It is hard to imagine training in NYC, or in China, without Reggie’s steady and positive presence. I can’t remember the exact date when Reggie first took a class with New York Internal Arts. Perhaps that is because he maintained a constant upbeat presence in our school and at training events for over 25 years. In any event, Reggie started training with me sometime in the early 1990’s, and was an integral and invaluable member of our school ever since. 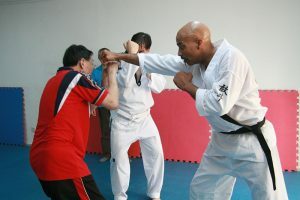 Reggie had previously studied Burmese Bando and Thai Boxing and he continued with Thai Boxing on and off while learning Xing Yi and Ba Gua Zhang. 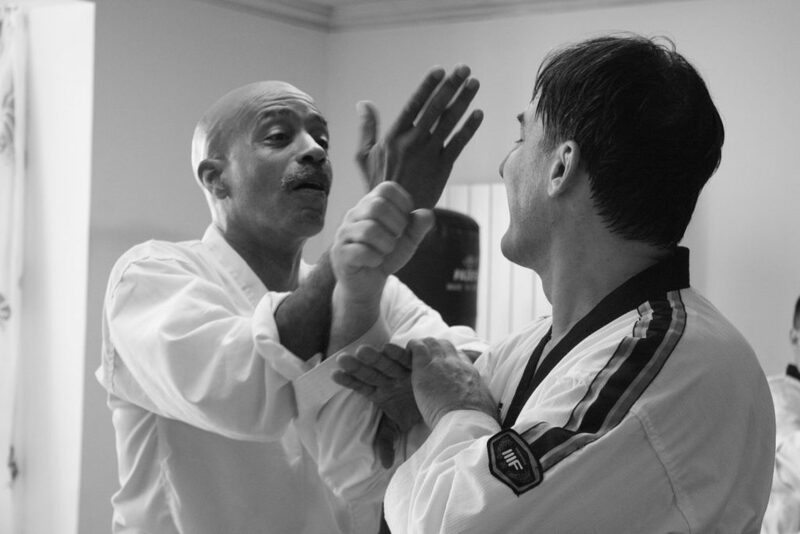 Reggie began his training in Shotokan Karate in the mid-seventies, earning a green belt under Sensei’s Calvin and Melvin Wilder. He studied Judo at the local YMCA in Dayton, Ohio, briefly trained under James Laster in Tiger and Crane Gong Fu, and resumed training under Soya Billy Hawkins in Bando (Burmese Martial Art), becoming Assistant Instructor, 1980-1984. Continuing his study of Bando under Sifu Paka Khan, Reggie received his brown belt. He also trained in Muay Thai for two years with Kru Harold Clarke. So when Reggie walked through the doors of our school, he was already a formidable martial artist. From the very beginning, Reggie was enthusiastic. He came to every class, trained hard and read everything he could about the martial arts he studied. He was always a bit surprised by those who had not read the requisite books, and didn’t know the history of the arts they were learning. Because Reggie was so easy going, it was easy to under-estimate the level of skill and power he had cultivated. In class he once almost dislocated my knee with a kick. I don’t think he even knew it. 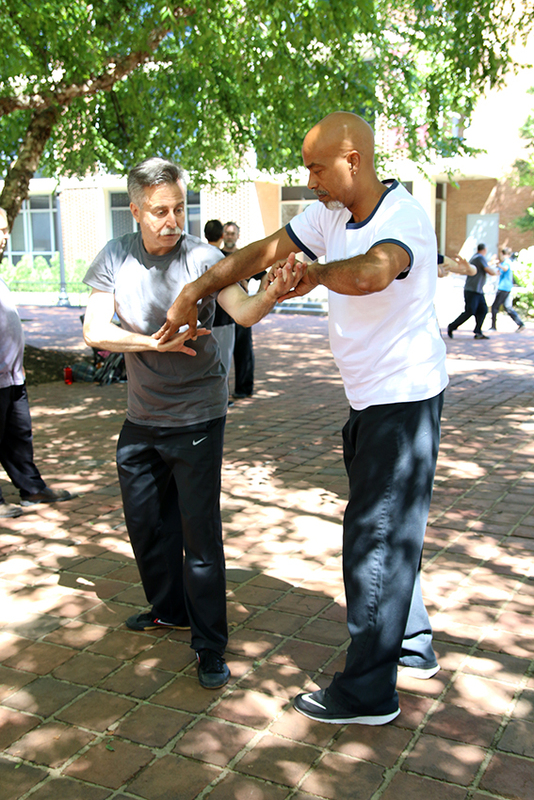 At the end of class, after he left, I had to get out the acupuncture needles and bone liniment. At a tournament, I remember him fighting a formidable opponent, who in previous matches had given some of our other students a hard time. Between rounds I whispered to Reggie that his opponent looked vulnerable to Xing Yi Monkey. Five seconds later as his opponent attacked, Reggie went airborne, jumping as high as my head, kicking out, and then on his way down, delivering a perfect one-two palm strike to the head – not hard enough to hurt the man, but just hard enough to let him know who was boss. 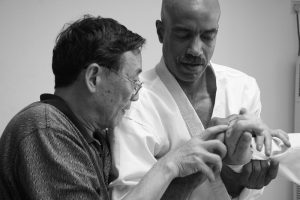 In time, Reggie became a senior instructor and an inspiration to students, many of whom he helped and taught over the years. He was loved and respected by all, and I do mean all of the students. I can’t count the number of students, and instructors who have told me that Reggie was the first person to personally welcome them when they started class, or the first person to teach them something new. His enthusiasm and positive attitude was infectious. Reggie could make friends anywhere. During one of our training trips in China I went to find Reggie in the hotel bar. I found him sitting at the bar with two young Chinese men. 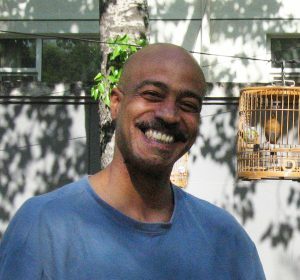 He introduced me to his new “friends” – Reggie did not speak a word of Chinese, and they did not speak English, but there they were, happily chatting away. 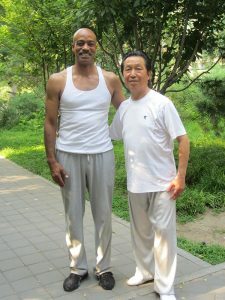 Reggie went to China with us several times to train in Ba Gua Zhang with Master Gao Ji Wu and Qin Na with Master Zhao Da Yuan. Our Chinese teachers and their students loved Reggie. 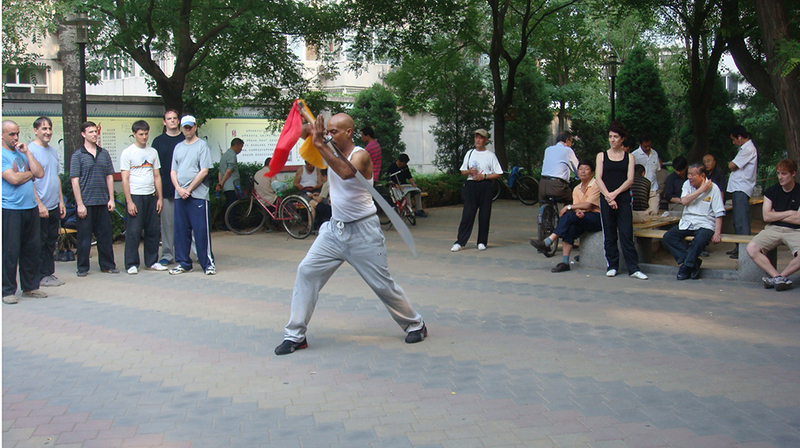 His openness and enthusiasm crossed any cultural barrier, and Reggie seemed to display an almost intuitive understanding of Chinese culture and martial etiquette. Later I realized, this was not simply intuitive. Reggie had done his homework. He had read the Outlaws of the Marsh and the Romance of the Three Kingdoms, long rambling books which espouse martial etiquette and brotherhood, filled with countless stories of martial heroes battling against the odds and against injustice – the very same books our Chinese teachers had read in their youth. As a public defender for Legal Aid in New York City, Reggie was constantly battling the injustices of our legal system and defending those without access to legal counsel. Reggie helped us to open the door to advanced training with Chinese teachers. 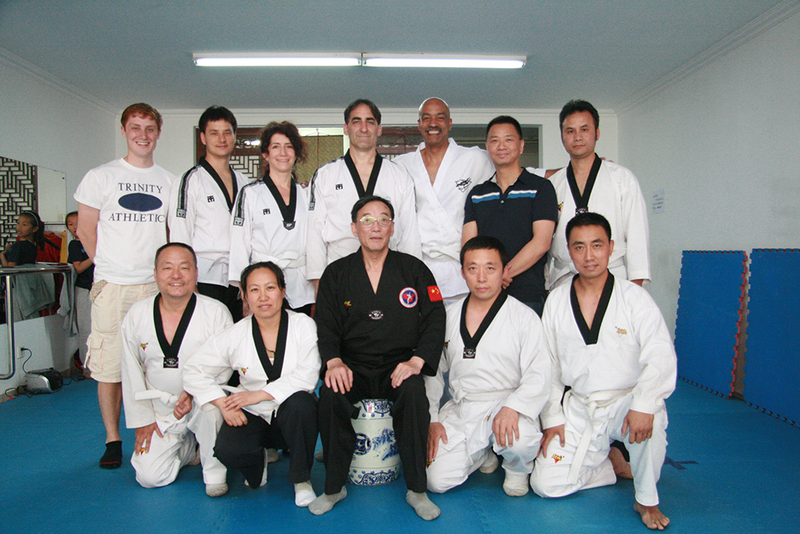 He was there in China with a small hand-picked group for our first training with Master Zhao Da Yuan. We spent three days practicing brutal throws. We did not realize we were being tested. They wanted to see if we were soft Americans. 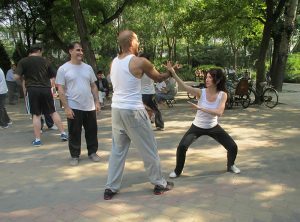 On the fourth day, Master Zhao said we had performed “better than expected.” Only then did he show us how to escape the throws by rolling out of them, rather than being slammed on the floor each time. There are endless stories I could tell, but suffice it to say that Reggie was one of a kind, and he is already greatly missed. His passing leaves a deep hole in our school. Those who knew Reggie were blessed to have trained with him. I think the photos both above and below show the joy and spirit that Reggie found in training, a joy and spirit that that we will all carry with us in each training session to come. Reggie’s generous and open spirit lives on, in all who loved him.